This morning I attended a special “hard-hat tour of Cedar Point’s yet-to-be-announced attraction in Frontier Town,” (to use their description of the RMC work being done on Mean Streak). I arrived at the site and found several dozen representatives from various local news programs, television, radio and some other amusement park and roller coaster clubs. Along with several other Cedar Point employees were Jason McClure (V.P. for Cedar Point) and Tony Clark (Director of Communications). I was handed my very own Cedar Point hard hat and “working media” lanyard, and soon we were being given our instructions on how to behave in the construction zone. 1. Stay with the group. 2. Do not speak to any Cedar Point employee, except for Jason and Tony. 3. Do not speak to any worker on site. 4. Do not ask any questions about anything we saw. We were allowed to take as many photographs as we wanted and film anything we saw. There would be an opportunity afterwards to interview Jason and/or Tony, but considering the invitation to the event clearly stated, “Although no specific information will be revealed at the time of the tour, future access to this area will be extremely limited,” it seemed a bit pointless to try for an interview. My suspicion was confirmed when I heard two people ask Tony rather innocent questions and he just looked at them, refusing to say anything at all. I did feel a bit proud that I asked him a question that he did answer- I asked if he was having fun with all the rumors going around about the new name. He looked at me, thinking if he should say anything, then said, “No. Well, yes. It’s one of the perks of the job.” And that was it. They weren’t kidding. It was a great “show” but a silent “tell” experience- they didn’t say a thing about, well, anything. Not when it will reopen. Not the new name. Not if the heavy rains we’ve been having slowed down progress. Nothing. As I left, they took back the hard hat…and the lanyard. Was it worth it? I’d say “yes”. It was great fun to be wandering around the site, with the new RMC coaster surrounding us. 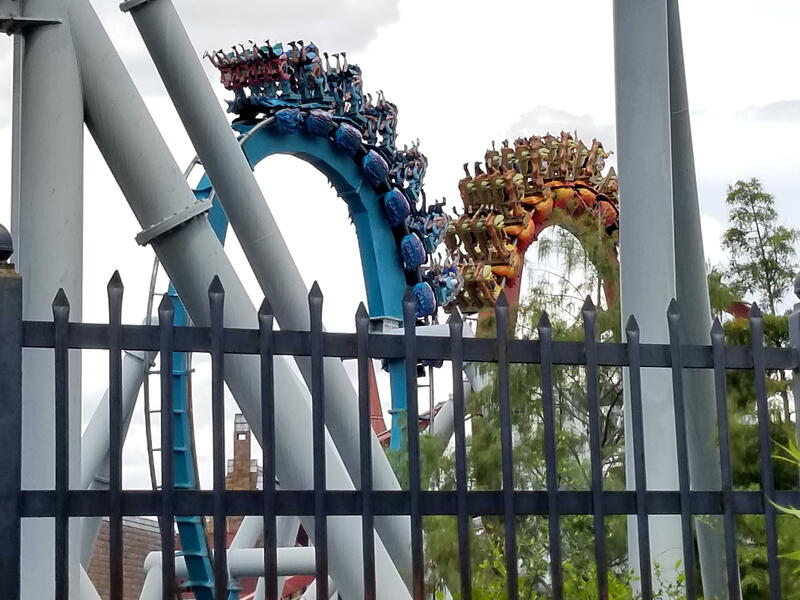 The size of the coaster is amazing, and the sight of piles of new coaster track, steel supports, cranes, workers climbing all over the structure and the incredible twisting and turning of the newly-installed track was breathtaking for any coaster fan. Whatever they call it, whenever it opens, it is going to be an incredible ride. Good report, and wonderful pics! (Though we need one of you in the hard hat, since you teased it so expertly.) 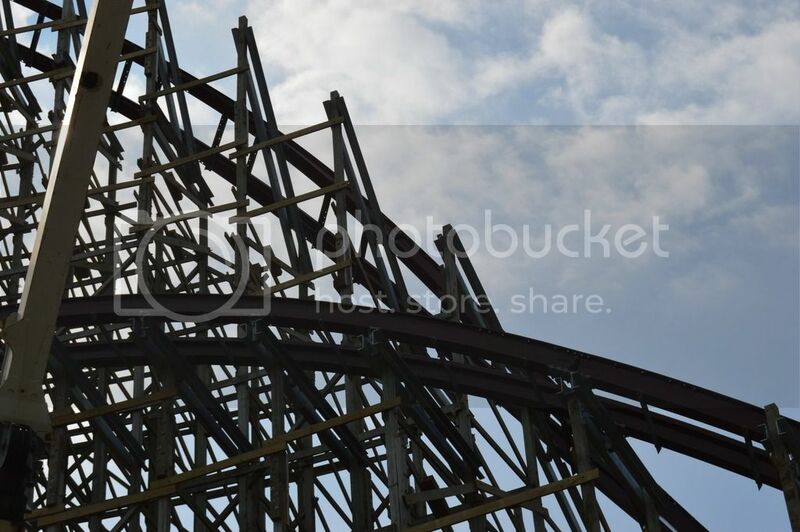 Looks like the RMC conversion will be a fantastic, non-traumatizing replacement for Mean Streak. Nice! News we can use instead of tripe about wand stores in local malls! 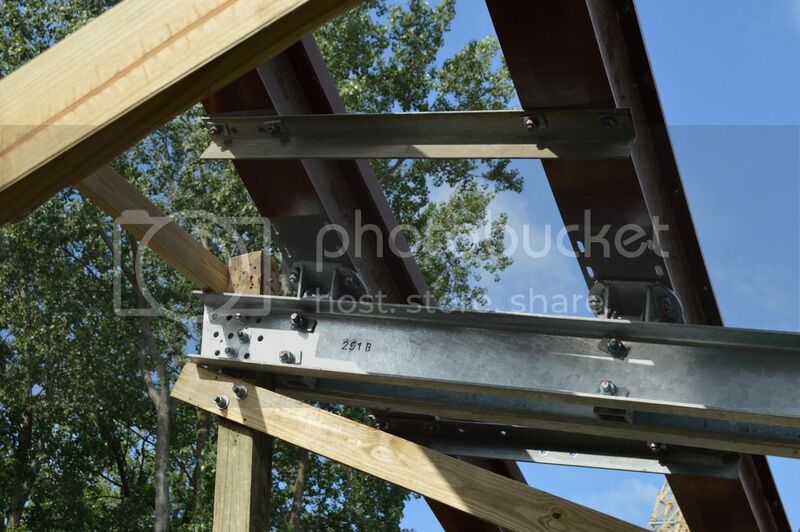 Jim, thanks for covering this amazing looking replacement for Mean Streak. 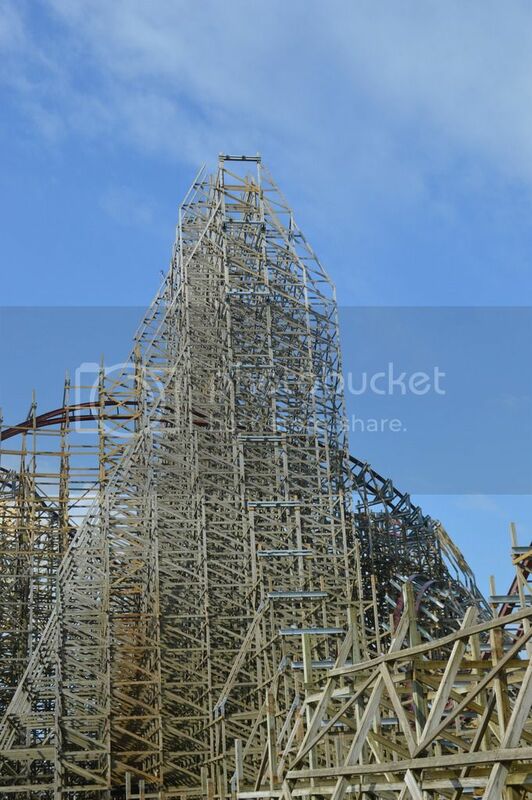 The work RMC is accomplishing to restore and vastly improve this Big Boy coaster makes Cedar Point THE park to visit in 2018 while the world waits for Disney to open Star Wars Galaxy's Edge in 2019. And certainly, Mean Streak: Part Deux should ensure TPI doesn't waste another year giving the coveted Best New Roller Coaster award to a glorified water slide! This ride is looking great! I've currently got a couple possible plans for next year, but if the international option doesn't work out there's a 99% chance I'll be making a trip to Cedar Point to try this out (along with Valravn). Great report and some amazing pics. 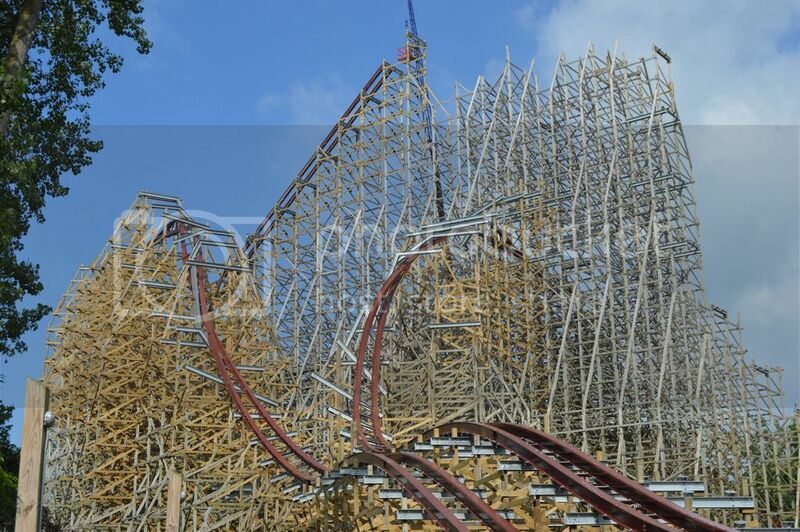 I'll be at CP next May so really looking forward to trying out the "new" mean streak. I have many fond memories of the "old" mean streak but I think my favorite was when we rode it late one night in October and it had been drizzling with rain for a few hours. Oh my .... it flew .... must have set a new full circuit record that night. Awesome times for sure. My plan next May is to go to Carowinds to try Fury 325 then go over to CP and get back on my all time favorite the amazing Millennium Force ... :). Any coaster that's touted to be better than the MF has got to be worth a try. It will be my first visit to Carowinds so excited about that too. It sounds like we're going to have a great turnout in 2018 for TPIers visiting Cedar Point! Just being on the site got me really excited for next year. I did overhear one bit of news that Jason McClure let slip during an interview- there was some speculation that CP would try to have Mean Streak ready for HalloWeekends this year. Just looking at the amount of work needed, I knew it wouldn't happen, but Jason mentioned how much he appreciated everyone coming to see the progress on their new coaster for 2018. Confirmed- Mean Streak (or whatever they're going to call it) will not open until 2018. Okay, so let's all plan this out NOW!!! Big Theme Park Insider meet up at CP in 2018! Guess I'll cash in my TPI TOC prize and get us all a James Koehl tour of the park!!! And big TPI road trip climaxing at Cedar Point. Let's all drive out to Knoebel's, Dollywood, Lagoon, Efteling, Ferrari World, everyplace we can hit along the way. It's gonna be great!!! Great article. Thanks for the update James. James Leslie member of ACE & ECC. Douglas, let's hold off for a couple months and see what everywhere has in store for 2018. Cedar Fair, Six Flags, and a lot of regional parks will be announcing things in August/September, and based on teasers I've got a feeling it will be much more impressive than this year was. We can convene once the off-season starts and decide what the epic TPI road trip will include. In all seriousness, I have actually started looking into options for a pseudo-road trip (aka fly to the start point, drive to the end point, then fly home from there) that will end up in Ohio but start elsewhere. Currently, I'm looking at two possibilities: Start in Virginia and go via Maryland and Pennsylvania (the eastern route), or start in Georgia and go via Tennessee, Kentucky and Indiana (the southern route). Which is better will ultimately depend on the 2018 announcements...and what happens on my upcoming trip (yes, that is a teaser for what may be in my next trip report). In all seriousness, AJ, you have a very good plan. The sort of road trip you describe is perfectly feasible, especially with a group splitting costs. Let's see what the other various parks along the routes will have to offer next year, then pull together as many willing participants as possible. I'm sure the Rao family would enjoy something like this. To next year in Ohio! Either trip will be quite the adventure !! Last time I visited CP was late August 2016 ... and that was a mistake. The water park was open and CP was pretty full. In 2013 I went early May b4 the water park opened and that was much better. So next year I'm thinking Carowinds then CP for their 2nd week of opening with a day thrown in for a day trip to Kings Island. A long day, but doable. Not much planning wise I can do until the park opening times are announced. This year I did Alton Towers, Thorpe Park and Drayton Manor in the U.K. and had a fun time. @Blake - after riding ~60 different coasters at five different parks from Ohio to South Carolina in eight days in 2016, the Rao Family is going to keep their trips a bit more compact in the future! But we're definitely thinking Silver Dollar City, Kings Island, and Cedar Point next year - so if we all can time things similarly, I'm game! @James - I concur. Trying to schedule huge coaster trips can be a huge pain. We usually try to plan vacations where we hit the 3-4 closest parks to our destination city with parks only accounting for at most half of the attractions we plan to visit on any given trip. We're going to Cedar Point in a couple of weeks, and have a yearly reason to return with an annual family reunion occurring in eastern Ohio during the first weekend of August, which conveniently corresponds to the NFL Hall of Fame induction weekend in Canton. We'll probably hit Cedar Point again next August as well (after the new coaster is well broken in), and might even venture down to Kings Island too since we're not going there this year. We were thinking about trying to swing a trip to Carowinds during the week of the Eclipse (Charlotte is pretty close to the path of totality), but it's just not going to work with a huge Orlando trip (10 days) on the horizon in October and the Eclipse happening mid-week requiring too many days off work to make a trip to the Carolinas work. I'd also note that we were at Kings Dominion yesterday, and the RMC conversion on Hurler is progressing well. They appear to have added about 30 feet to the lift hill structure, but despite all the upside down "T" hints the park has been dropping recently, I didn't see any spots on the current structure that would support an inversion. The only track that's currently attached to the structure is through the station and about halfway up the lift. They've still got a long way to go here in Virginia. Russell, if you want, drop me a line at jim@themeparkinsider.com and maybe we can meet up. No promises- my wife is having major back surgery tomorrow and I might still be playing nurse. Still, I'd like to meet the famous Russell Meyer! We're planning our Cedar Point day to be Friday, August 4, and since we're staying both Thursday and Friday nights in Sandusky, we were going to make a full day of it (early entry through midnight closing) if our 7-year old can handle it. My guess is that Millennium Force will keep him wide-eyed deep into the night, assuming he doesn't choke on any bugs. I'll e-mail you when we get a little closer to our departure. Fantastic title for the article! I'm in for a TPI meetup!